I recently purchased a new Windows Phone 8 device (the Nokia Lumia 920) and discovered a much-improved mobile operating system compared with the previous Windows Phone 7.5. However, as much as I am enjoying the new phone, its increased speed and wider selection of functional apps, there is one thing that is a bit of a let-down. 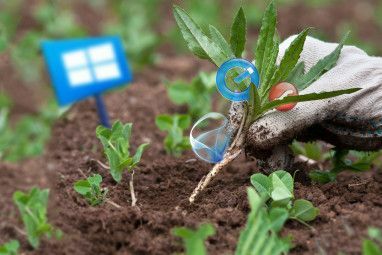 In their wisdom to push users to Windows 8, Microsoft has removed compatibility with the Zune desktop syncing application. For Windows 7 users, this means the downloading and installation of a very stripped-down syncing tool. Windows 8 meanwhile doesn’t get the expected native syncing; instead they can install the same syncing tool from the Windows 8 Store. Users of Windows Phone 7 devices will know that syncing was made possible via the Metro-style Zune desktop client, a sort of “Windows Media Player on acid”. Capable of playing MP3s, video clips and providing access to the Zune store and Windows Phone Marketplace, the Zune client has been dropped along with the Zune name in favour of Xbox Music. New Windows Phones have an Xbox Music app rather than a Zune player. It’s bye-bye Zune time – but despite the problems this tool had How To Fix Nokia Lumia 800 And Zune Connectivity Issues How To Fix Nokia Lumia 800 And Zune Connectivity Issues Syncing this Windows Phone requires – as with any – the Zune software on your PC and a USB cable (Mac users can use the Windows Phone 7 Connnector for Mac). However for some of... Read More , retiring Zune unfortunately means reduced sync functionality for Windows Phone 8 users. For a Windows Phone 7 users, syncing was a case of connecting the phone to the PC. This would auto-launch the Zune app and sync whatever media types had been pre-set to sync between the devices. Syncing is still possible for Windows Phone 8 devices with Windows 7 computers, but it’s a bit dirty. To sync your Windows Phone 8 with a Windows 7 PC, you will need to head to this Windows Phone page and hit the Download Now link to download and install the software. 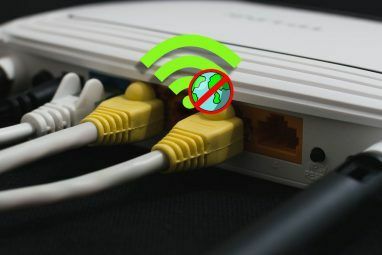 Once installed, you should be able to launch it by connecting your phone to your PC. Across the bottom of the sync tool you will see what storage has been used and by what types of data. To sync data between Windows Phone 8 and Windows 7, select the PC option in the top left and then your chosen media type. Different settings are available for music, video, photos and ringtones. The sync tool will import folders from the Windows libraries, enabling you to select the folder you wish to sync with your phone. A dedicated folder might be set up, or you can use the one named after your phone. Simply check the box and click Sync to copy the data from your phone to your computer. Subsequent connections will automatically sync these folders. Adding new folders will sync their contents between your phone and PC. Note that if your music, photos, and videos views are empty, this is because you don’t have media in your Windows libraries. The best way to resolve this is to link your media folders to the Windows library folders. Syncing with Windows 8 is pretty much the same, and possible via heading to the Windows 8 Store Simply Install Apps And Games In Windows 8 Simply Install Apps And Games In Windows 8 One of the key benefits of the new Windows 8 Consumer Preview is the addition of the Windows 8 Store, absent from the previous Windows 8 Developer Preview. This new tool streamlines the process, allowing... Read More . 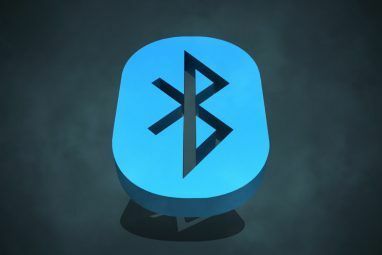 From here, browse the store or Search (via the Charms bar) to find the app, and then install. The sync tool will launch in the Desktop view and from here you can use it as described above. Note that the sync tool isn’t necessarily needed for Windows Phone 8 Windows Phone 8: The Complete Review Windows Phone 8: The Complete Review Question: how do you improve on perfection? Answer: you wait for someone else to have a go. A quick look around the smartphone market reveals that Apple’s iOS and Google’s Android operating systems are top... Read More . Windows Phone 7 and 7.5 blocked the use of devices as USB storage (unless you used a registry hack and a non-updated phone) but MTP has been introduced to Windows Phone 8. This means that you can browse the contents of the device from Windows Explorer and manually save data. You know, I really should write a thank-you letter to Microsoft for literally handing this topic to me on a plate. Over the past few years they and their PR have worked had to vanquish the reputation of the “old Microsoft”, the monolithic corporate IT giant that didn’t give two hoots about its domestic consumers. For me, however, killing Zune (for all its shortcomings) is as big a shot in the foot as killing Microsoft Money or removing Microsoft Picture Manager from Office. While the new sync tool is quite functional, it lacks the pizazz of Zune. While this reflects the move towards cloud-based services, it’s a shame to lose the regular use of Zune, which over the years has become my main music player. Explore more about: Windows 7, Windows 8, Windows Phone, Windows Phone 7, Windows Phone 8. I had the Lumia 920 for only a few days now. I would have loved the 920 if they left it Zune comparable. All my music is in that program, and my pics were well organized/easy to find. That windows phone app is such a joke! Tried the slow drag and drop process under "music" which is very time consuming and my phone kept disconnecting for unknown reasons and causing a mess. I was a loyal Microsoft user, and right now if this doesn't change, I'm going with something else. Thank you for the info. I have just moved from iPhone to windows, Nokia 920. Mainly so i can sync with my office setup which i havent done yet but am looking forward to. The ability to edit excel and word docs should be very useful. Having setup most of my usual mobile must haves the one thing that is really annoying me is the twitter app. I just cannot see my tweets retweeted. There is a section that says 'my retwetted' but it doesn't tell you by who? Also doesn't seem to tell you when people started following you. Basically it needs a section like the @connect mentions section in the iOS app. If I am missing something and anyone can help please let me know!? I'm currently using the Rowi Twitter app, best I've used on WP platform. "Lite" (free: http://www.windowsphone.com/en-us/store/app/rowi-lite/5da58f1f-562e-e011-854c-00237de2db9e) and ad-free versions are available. That is much better, can now add in the my tweets retweeted column. Only annoying thing is I have noticed that in this app and the official app you cannot see the replfoot conversation of tweets which is really annoying.. Unless I am missing something? Thanks for the post. I've recently tried Windows-8 phone. It has improved a lot but still it feels restricted. I went from the Tour to a Nokia 822 (Verizon). While I am enjoying having a modern, touch-screen phone, there are a host of issues with it which lead me to think MS released another half-baked product (shocker, that). 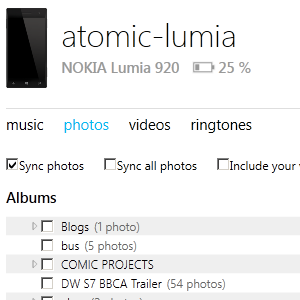 First, the sync app for WP8, in Win7 is a joke and it's only a little better in Win8. there is a thread on the official MS Answers page talking about how cover art isn't there after a sync, and I've personally witnessed this myself on my phone. So far, the only way to get cover art along with your music, is to use Windows Media Player and do a sync from there. What's more is that I've discovered it to be significantly faster than the sync app MS released. One other thing- when syncing Death Magnetic from my library, the whole album became messed up. The album changed to '7 songs for America (and 1 for the world)', the album had 10 tracks- all exactly 5 minutes long and titled 'unknown' (but all played the same song- The Day That Never Comes), and the name of the band went from Metallica to something completely different (and one I've never heard of). And let's not get started about no favorites syncing, difficulty in streaming music and video from SkyDrive, having to manually download pictures in emails, the inability to charge the phone while it is off, no auto wake-up or shutdown function, no useful clock or timers, and poor music controls. If I didn't hate apple and google so much, I mighta switched to an iphone. All good points, Christopher. I've never felt the need to charge my phone while switched off, but in terms of the sync app I it could be a whole lot better. Despite its flaws, I liked Zune much more. I feel that Microsoft has designed a platform to rely on the trend towards media streaming rather than media storage. Certainly with my Nokia it is much easier to stream music and get all of the relevant meta content than it is to sync, store and playback. If this is where MS is heading, think about how the next-gen XBOX is going to be. almost makes me shudder. I might be the only person who didn't love the Zune app. I had an 8GB Zune player for my motorcycle, but gave it to my wife when I bought a Garmin GPS (and it already had a built-in media player), for it. I toyed with Zune for awhile and found that, while it was pretty good with all of the things it could do, it felt scattershot. It just didn't seem organized or something. YMMV. I guess I just like to shut my phone off when it's charging at night; no sense in it being on, drawing charge while trying to recharge itself; sort of like filling a bathtub only to have the drain partially opened. One thing I really do miss about the BB is how it had a timer to automatically shut the phone down and then wake it up- perfect for overnight. It would also turn the phone back on if you had an alarm set...again, perfect. I am surprised WP8 doesn't have these features. Still, there's a lot to love about the new phone, and while I really wanted a Verizon 920-variant, I would much rather have the removable battery and microSD card instead (I have a 64GB microSDXC card).